Filmed live in high definition from the National's Olivier Theatre and broadcast as part of National Theatre Live, directed by Nicholas Hytner. For most of us the National Theatre is a building a couple of hundreds of miles away – despite the fact that our taxes support the institution, performances are restricted to Londoners and the odd 'provincial' tour. So three cheers for the screening at Cornerhouse and in cinemas worldwide – and why did it not happen a few decades ago? Viewing a play in the cinema is a strange experience – I was never quite sure whether to clap or not! But this was a fascinating and rewarding night at the theatre/cinema. Nicholas Hytner's new production of Hamlet has a stellar cast – and an award winning and interesting prince in Rory Kinnear. This is not a romantic prince, but a deeply moral one – facing up to the realities of a brutal power structure. Its modern setting shows that the questions of power politics are relevant to us as to a Shakespearian audience. 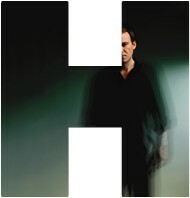 Hytner and Kinnear highlight the issue at the centre of the play – personal relationships played out on a political stage. The characters are imprisoned in a totalitarian state – where the security guards may turn their guns on any innocent – including perhaps Ophelia, whose life is destroyed by the Claudian police state. Patrick Malahide is a cold and frightening figure and Claire Higgins portrays a wife taking refuge in alcohol in fear of the power which has attracted her to her husband's murderer. In some ways the cinema experience may give the viewer a greater insight into the characters – as in film we can see the actors think – perhaps our insight into Hamlet's dilemma is greater – particularly as this a prince who is a thinker and much of his action is internal. Finally to those who missed this cinematic event – the production comes to the Lowry in February and I for one will be booking my ticket.